← What did Arsene tell Giroud to Sign so Quickly? Coming off a pair of matches where Arsenal started slow but managed to finish strong, the Gunners will be looking to give a more consistent performance and bring all three points back to North London. Swansea City, mired just off the bottom of the Premier League table on just 15 points, will have other ideas and will want to get a result for their new manager, Paul Clement, their third in a season which has barely passed the halfway juncture. 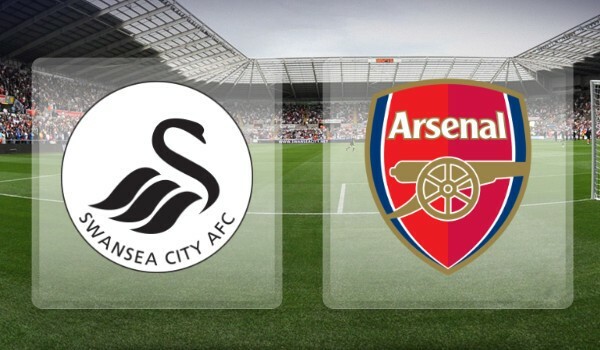 Last season, Arsenal won this fixture 3-nil but Swansea has been quite a bogey team for us in recent campaigns. In 2014-15 we lost both home and away to the Welsh team and we lost to them again at the Emirates this past March. In our most recent match, back in October, again on our home pitch, it took all we could muster to hold them off and finish with a 3-2 scoreline. That one looked comfortable early on but Swansea came back into it with a pair of goals and our nerves were well tested having to play the final 20 minutes with only 10 men after Granit Xhaka was shown a straight red card. Swansea have a strong spine of players including former Gunner Lukas Fabianski in goal, Gylfi Siggurdson in creative midfield and the large figure of Fernando Llorente up top. Mo Barrow also looked very threatening on the right wing the last time we played. Center back Neil Taylor is their one big injury miss. Arsenal have plenty of injury issues of our own but we should get a boost with the return of Mesut Ozil in midfield. Ball control and spacing were problems early on at both Bournemouth and Preston North End and Ozil’s return should help. He’ll likely slot back into his #10 role just behind the lone striker, but who will that player be? Olivier Giroud has gotten the call in recent matches with a small run of starts. Many observers, however, feel we’re stronger when Alexis Sanchez plays up top and that Giroud should be used off the bench. Danny Welbeck is also back in contention after his first minutes of the season at Preston. My hunch is that Giroud, who just this week had his contract extended, starts again with Alexis back on the left wing, while Welbeck, along with Lucas Perez, should be available from the bench if we’re chasing a result. Giroud’s countryman–another player who has just re-upped his contract with the club, Laurent Koscielny, should also be restored to the line-up. Kos went off with a knock at Bournemouth and without him in the FA Cup match at Preston we looked very out of sorts at the rear. One player who has not recovered in time, however, is right back Hector Bellerin. With Mathieu Debuchy still injured and Carl Jenkinson said to be on his way to Crystal Palace, Gabriel Paulista will likely be Bellerin’s replacement, playing just to the outside of our other center back, Shkodran Mustafi. Who will play ahead of Gabriel on the right? I’m guessing it will be Alex Iwobi who had a man of the match performance at Preston. In that one, he played in a more central role so it’s possible he could get another shot there or, perhaps, on the left. Alexis Sanchez, rested for the Cup match, could probably use more time off and a real Winter break. If manager Arsene Wenger is thinking along these lines it might mean that there’s a spot for Alex Oxlade-Chamberlain. Much as Alexis has appeared a frustrated figure in that left wing role in his recent matches, I think our need for his skill and drive is too strong and he’ll have to play. Finally, in deep-lying midfield, where we’re missing Santi Cazorla (possibly out for the remainder of the season after another surgery), Mohamed Elneny (with the Egyptian team at the African Nations’ Cup) and Francis Coquelin (to a muscle injury), it almost has to be Xhaka and the player who came up through Swansea’s arch-rival’s ranks at Cardiff City: Aaron Ramsey. That’s just my best guess, of course. Who do you think Wenger will select and who would you like to see in the line-up? Whoever he picks Arsenal cannot afford another slow and disjointed start and hope to pull off another come-from-behind result. Securing all three points with a strong performance would also help send a message early in the weekend’s matches before league leader Chelsea plays the Saturday evening match at defending champions Leicester City. Then, on Sunday, Manchester City have a fixture we lost–Everton away–while one or both of Liverpool and Manchester United will drop points when they play each other. As such, this is an opportunity we need to grab with both hands. Good preview there, 17. I like your picks, not that the team has that many options outside of the forward areas. Somehow, I feel Wenger will start Lucas ahead of either of Ox or Iwobi. He’s done well in the last two games and is likely to be rewarded with a start. It is also a chance to really get to see how he fares in a difficult away game, right before Theo returns from injury. Lastly, if Gabriel has to be RB, Lucas can give him better cover than most of the other options. Just get the 3 points, is all. Excellent preview HT and your line up looks like it would be it. I suspect that Wenger’s biggest head ache would be choosing between Alexis and Giroud for the #9. Giroud has been banging in goals, but Swansea is a passing team who love playing in a stretched field which suits our team with Sanchez at #9. Sanchez at #9 needs runners into the box which Ozil and Theo provide excellently for him. Ozil is back but Theo remains side lined, One could however argue that Theo’s absence would be filled by the presence of irrepressible box running of Rambo. Wenger’s decision might just tilt in favour of Alexis at #9. That also keeps the competition for the striker role hot. Bellerin is out and Gabriel is the most likely to replace him. From Gabiel we expect defensive solidity, but very little of Bellerin’s overlapping forward runs. Therefore we are not likely going to use an inverted WR player in front of him. I expect Ox to start there. The more defensive Gabriel starting at RB also gives greater legitimacy to Rambo “gallivanting” upfield. Bench: Ospina, Holding, Gibbs, Niles, Perez, Welbz, Giroud. Nice one HT, and the line up you suggest is highly likely, but I think PE may be the more on the money up front, but for different reasons. If I may slip one line in on TA’s post which I have only just read, in which TA you do a good job in describing the attributes of the squad. It is just a question of playing a team out of it? I think he will play Giroud and Ox as a ‘super subs’. Partly because he wants Ozil on board, and for him to shine Alexis will have his favoured CF role, with freedom to come deep and wide. This, in my opinion, is the best combination to start on the front foot. However, we want a strong presence supporting Monreal, be cause as sure as ‘eggs is eggs’ Swansea will look to attack Gabriel, and then switch play to the wide open spaces that Monreal will leave as he tucks closer to Kos as the far post cover? As you rightly point out HT, Barrow looked very quick last time, and Gylfi is a very clever player for him to bounce of. We can only hope that the stupid rumours about Llorente to Chelsea, that he will have ‘£££’ signs distracting him every time he goes to head a ball? So that to me means Xhaka with either Welbeck or Iwobi on the left. I think Iwobi will be given a rest, as well as being THE player to replace Ozil if he has any after-effects from his lay off? With this amended line up, I think they will get the job done at half time, and even Alexis will be less grumpy at being subbed on 71 minutes (ha ha grrrrr ha ha). With that trio behind Alexis from starting positions, there will be no shortage of of players filling in spaces he leaves, and all capable of drawing players out of the middle for Alexis to exploit. but they will still have to work for it! Swansea have a good collection of players, but nervousness and doubt quickly creep in when things go wrong. At this stage a point off us will be a bonus for them. Their real targets are those around them? We are probably meeting them at just the right time, before their new manager can get them sorted and confident again ….. But, and it is a big BUT, any half-arsed attempt at trying to walk the ball into their net will see them grow and grow. Hence, fast start, quick accurate passing passing,, AND defensive responsibility will be what is required. Well written and yes three mangers in just over half a season is ridiculous. I like the line up but would like another start for Lucas. The agent of Costa, or super agent as is ridiculously termed by certain sycophants in the media, has been reported to currently be in China touting his client to those moneybags Chinese clubs, so maybe we could be seeing the start of a few cracks to the Chelsea facade? If we’re gonna take advantage of any slip ups then we’ve gotta win today. I’d like to see us go back to having Alexis up top, but maybe we need the input of Walcott to play that system effectively, so I’m going with 17tinos pick, as I think will Arsene…. I’m up early this morning excited to watch our match. The early one, I hate to say, is showing Spurs looking rampant vs WBA. I still haven’t watched our match from Boxing Day but I fear we weren’t playing anywhere near the level I’m seeing. Certainly the portions of streams of the other matches (CP, Bournemouth) and the tape of the Preston match I have seen would indicate that we need to step up significantly if we hope to compete for trophies this season. A new signing is always welcome, Seventeenho, especially from a psychological point of view. However, I don’t agree there is a squad need for it. Elneny will be back soon enough and so will be Le Coq. And Xhaka and Rambo need some games together anyway. I agree about the Spuds but they sure look to be in decent form at the moment…Their match is 4-nil now… I wish the same could be said for us…Hopefully today’s match is a step in the right direction. I am really glad we are not starting with the Ox, and having Perez and Welbeck on the bench to freshen up our attack, is bliss. If Wenger believes Alexis will not stay, you could well be right. But yeah, who is available this January? Yeah, 11 from 11 HT, but I fear a slow start! With this line up I’d wish Ozil at WR for inswingers for Giroud with Iwobi slotting into the #10 position. You right HT, the ceaseless interchanges of the forward players is bound to satisfy my specific yearnings. This front 5 combination (including Rambo) is the 1st of its kind this season. I guess Wenger is also checking it out. Well called, 17! You must have had a peep into the manager’s notes after the last training session. The form of the Spurs side is cause for concern and it doesn’t look like they will let up, as most Arsenal fans have come to expect. Time will tell. Hey Eris… To me, the side seems pretty easy to pick at the moment due to injuries and AW’s fairly regular patterns. Very even start, so far, not unexpectedly. The new manager bump at play, I think. Early observation, nit picking maybe, is that Sanchez has not been his energetic self, not tracking the runners on the hosts’ right side, as he is wont to do. He has already pulled off his gloves which begs the question as to why he wears them if he is only going to pull them off, sparking media talk about his “frustrations”. Goal! Giroud. He looks injured and is asking to be taken off. I noticed a grimace earlier and let’s hope he can run it off. Unlikely, in my view. Giroud has 13 goals from 18 shots on target this season. WOW. Very happy with the scoreline and let’s hope Wenger can get the midfield play better in the second half. From what I am hearing on the radio, once again Ramsey and Xhaka (and Ozil) are not gelling.. The midfield is certainly not humming and except for Xhaka, both Ramsey and Ozil have been susceptible to the press adopted by the Swansea midfield 5. With Cech persisting with kicking long, it will serve us better for Giroud to stay on, but there’s a need for a bit more wing play (lacking at the moment because both Gabriel and Monreal are pinned back with little support from the RW guys in Iwobi and Alexis). TA, don’t pay too much attention to what you “hear on the radio”. They are hardly ever positive about the Arsenal. The stats will show we had more possession and while Swansea have played with a plan to press well, and have had openings, we still had some chances to be further ahead. Fortuitous goal off a deflection from Iwobi’s shot, but deserved after all that pressure we applied. interesting that you think Giroud would fake an injury. I dont see him like that at all and can only imagine he had to walk a pain off..
Oh yeah, TA…. Hahaha! I walked right into that one. Another deflected goal, off Iwobi’s crossed shot. Hope we can hold out here for the clean sheet. Alexis needs to get a goal today, you’ll think. We still look vulnerable somehow. Feed Iwobi and let him shoot! Alexis ponders too long with the ball in dangerous situations when the simple pass will put someone through on goal. Spoke too soon. He needed that goal. We must keep the clean sheet to put us above Liverpool, temporarily. Chance to bring on Danny Welbeck for a run out. Kos gets his bell rung…3 mins ET to claim the clean sheet which will do the rear-guard some good too…. Alexis will be sold, just for his unwarranted petulance. It is a team game and if there’s a squad player in need of minutes, what better game than in one we are comfortably ahead in? I understand he has his sights set on winning a personal accolade as top goal scorer seeing as Costa may not play this weekend, but he could have taken that with a smile and a gesture which says “boss, please give me a chance to get another goal, pleeeease”, instead of that public display that only gives the media more fuel for their fire. What a cracking bicycle kick goal by Andy Carrol. Playing without Payet, West ham have made a statement with the win against Palace. very good win. it sounded a little dour in the first half. we certainly seemed a lot better in the 2nd half and four goals away from home is not to be sniffed at. not the prettiest goals i have ever seen, but hell who cares. Alexis is just Alexis. See how he got his hands on 3 out of 4 goals. Wenger knows that he does not need Alexis to put his body on the line, as swans are playing more and more physical during the end. A weird game for me, as the scoreline seems like we were not troubled much, but it is anything but. It is just that we were lucky some shots were not on target and Cech is Cech. Is it my imagination, or is it mostly South Americans who seem to be taking the Chinese coin? Allezkev, the scoreline did not reflect the true nature. Yes, their defense were leaky, and ours might have gotten some damage if not for the poor finishing the Swans made. Lucky clean sheet for me, as the wings still have yet to click. Will write a proper review later. I saw some highlights on Arsenalist, as you say 84, our defence/de-fense looked less than secure in the first 45, but we looked totally dominant 2nd half. Allezkev, and guys, let me start writing the points that worth mentioning. I missed the first 15 minutes due to me coming home late, thus I can only comment from 15 minutes onwards. The start is as per what had been the same for a few matches in a row: We started out short, and Swans attacked us when they had the chances. Let’s start with the defense. Cech is a safe pair of hands for the team, and his positioning was why we had the clean sheet. Some shots were unsaveable, and we were lucky that the opposition strikers were just a micro-second slower for a few times in the first half. Gabby was skinned alive by the lively Routledge. He deserves better as his shots were good and strong. Mustafi kept him quiet, and while Mustafi had some passes that were misplaced, but Gabby was absolutely skinned. Alexis and Rambo tried to protect Nacho, but could not do much for a while in the first half as Swansea passed really well and made a few good chances. But we were very lucky to have Bosscielny, Mustafi and Cech, who did well to avert the danger together. Mustafi is a little rusty, but Bosscielny showed his colleague that he got his back and defended brilliantly. His heart in the mouth moment came when Ki Sung-Yong appeared to win a penalty, but the ref was in a good view and saw that Bosscielny pulled his leg back just before Sung-Yong went down, and it was a little while later that we saw what the ref saw and it was a brilliant call. I googled Ki’s name online and am appalled by the spelling mistake. The one that I wrote is the correct spelling. Whoever dismissed Mustafi’s performance yesterday is going to get a whack from me. He performed much better than his previous games. In the midfield, Rambo and Xhaka were at the same position again, meaning that Swansea had the chance to play the ball to the other areas and managed to attack from there. Attacking midfield was so much better. With Ozil in the hole and sometimes on the left wing, we had better calmness on the ball. Ozil was not a natural ball-holding player, and gave a few balls away, but he made the whole team look better than the FA cup game. On the front, this time we saw a more involved Ollie, dropping deep when we were attacked and helped out in defending corners. I know he had been defending corners for us in recent games, but I felt that I saw Ollie more this time. His goal came after he slipped and missed a sitter, and got himself hurt in the process. More involved in this game. Let me save the best for the last. Iwobi cannot perform as well without the help of Alexis. This was evident yesterday, as both of them ran riot at the Swansea defense, who were missing 2 centre backs. Let me touch on it more in the second period, which is exactly why we won 4-0 and not 2-0. Second half was more fluent, as we knew what Swansea had in mind and what was the weakness. My word count seems to be hitting the limit, so I will summarise the whole team performance. Defense was more tight due to Rambo and Xhaka knowing where to position themselves, and Gabby and Mustafi working well together, constantly communicating. A couple of good saves from Cech, and one header which looped over the bar. If that went straight I think Cech would have saved it as he positioned himself perfectly for that header. Midfield in general was free-flowing, with Ozil dropping to the right DM and allowing Rambo to bomb upfield. With 3 players (Alexis, Iwobi and Rambo), the whole team played with such hunger that scared Swansea ( Heavy deflection off Jack Cork for the first OG, and a back-pass by an ex-spud for the second OG) to own goals. I was not sure why the ex-spud did that instead of clearing the ball, but clearly his touch was too strong and Iwobi’s pacy ball was touched into the net. Ollie is less prominent in the second half due to his injury, but his headers were just as good when it mattered. I would not touch on the Alexis’ reaction after his sub. I know he wanted more minutes, but after his fourth goal, which was brilliant and somehow no centre back was there to close him down, the game was done and from there we played a gear down. Talking about the missing centre backs, Swansea is a good team, but defensively they need their defense to be on their toes every single minute. Our players are very happy to see that they are being offered the time and space. Perez tried to make things happen with Ox and Welbeck, but things certainly aren’t the same without Alexis. The pace dropped and everyone could not wait for the ref to blow the final whistle. Both Iwobi and Alexis are my MoTM, and with them, and Ozil, we can fight for more honours. I just wiped my comment looking to see how ‘Pool got on – 1-1 suits us fine, and Man City getting stuffed by Everton is a bonus too? I ‘d give my MOTM to Iwobiu though.